I love chocolate. I'm pretty sure it's the one universal thing everyone knows about me. If you know nothing else about me, you know I'm pretty obsessed with chocolate. That's basically why we had a full candy bar at our wedding. If you're having a wedding, definitely go with edible, chocolate favors. They'll be a huge hit. And if you want to be a little more creative than just chocolate lollipops (which were the favor back in the 80's and 90's), go with our DIY Chocolate Candies Rustic Wedding Favor. It's cute, and tasty, and your guests can use the small milk bottle after the fact. Fill the mini milk bottles with an assortment of chocolate-coated candies, then put the top on the bottle. 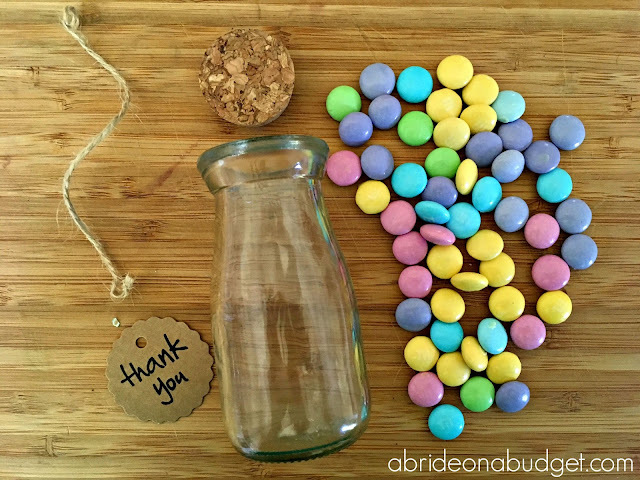 String the thank you tag with the jute cording, then tie it to the bottle. Set them out at your wedding. That's it. They're so easy. I actually have a bunch of these mini milk bottles and used one the other day to store homemade teriyaki sauce (which is super easy to make, by the way). I also have a plan to make homemade bubble bath and store it in these bottles as well. 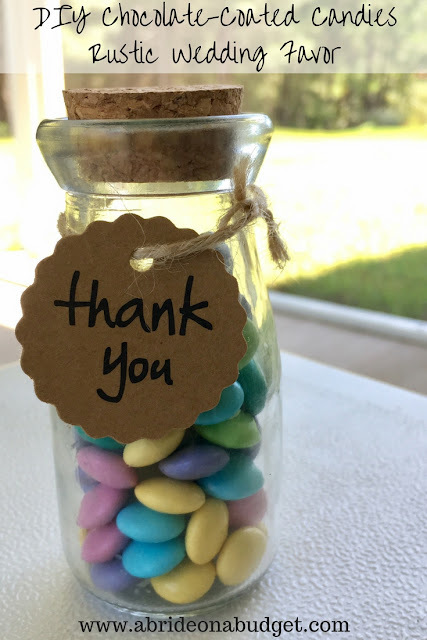 So, your guests will definitely take this favor home because they'll have a ton of ways to reuse your bottle. BRIDAL BABBLE: Would you give out this DIY chocolate-coated candies rustic wedding favor at your wedding? 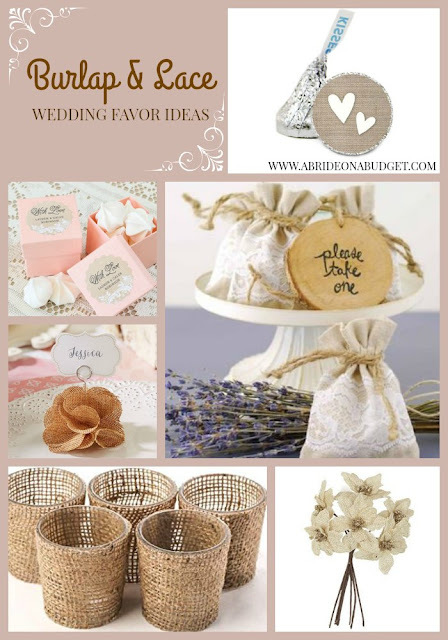 One of my sons was married back in June and their rustic wedding -- lots of burlap and lace -- was so beautiful! Good memories! This is a lovely idea! Chocolate always works and as an added bonus the guests can actually use the bottle for something! (Found your post at we are pinnable). Sharing this! My challenge would be to not eat the chocolates while I'm making the favors. Thank you for sharing with us at Celebrate Your Story, and have a great weekend. This is such a great, fun and frugal idea! The multicolour candies are so festive, and I love little cars and containers like that. Thank you so much for sharing, and for being a part of Hearth and Soul. Hope to 'see' you again this week! 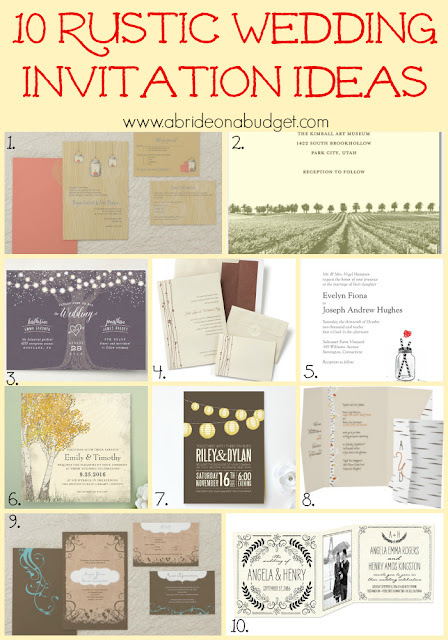 These are all really pretty and I like how inexpensive they all are. They are beautiful. So cute! I love doing stuff like that for weddings. Such a cute and doable idea! I love it! You always have such cute ideas! Thanks for sharing at Celebrate It!